Of all the great travel adventures in human history, there is one that has always personally inspired me above all others: Darwin’s voyage on the H.M.S. Beagle, his five-year journey from England to coastal destinations around South America and the Pacific which led to his innovative ideas about natural selection and evolution. 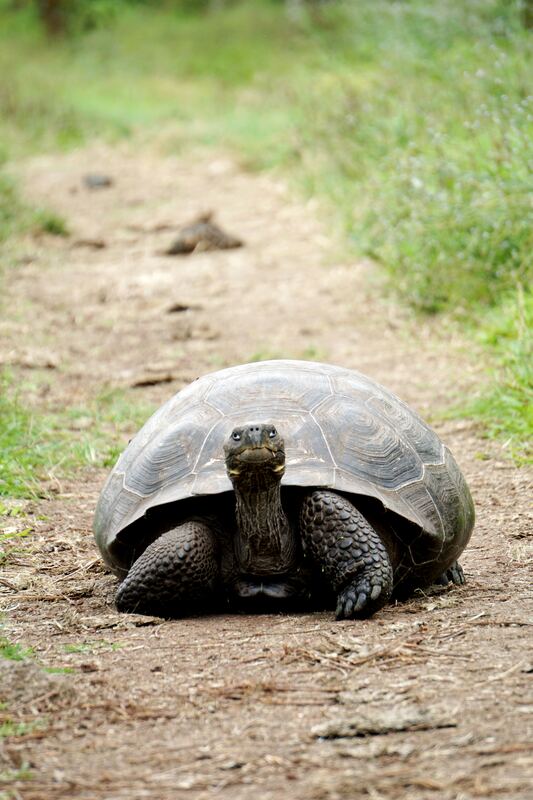 I would love to travel to the Galapagos and see for myself the sights that inspired Darwin. But the truth is, the particulars that inspired him are not quite what inspire me. After all, I’m not a 19th century naturalist working to advance theories about biology. I’m a 21st century creativity coach, and I’m interested in the abstract lessons about creativity we can learn from Darwin’s voyage. From his boyhood, Darwin was passionately curious about the natural world, even spending family holidays collecting specimens from nature. He writes in his autobiography that by time he went to school: “I tried to make out the names of plants, and collected all sorts of things, shells, seals, franks, coins, and minerals. The passion for collecting, which leads a man to be a systematic naturalist, a virtuoso or miser, was very strong in me…” (pp. 22-3 in Autobiography of Charles Darwin, ed. 1958, London: Collins). “It is easy to specify the individual objects of admiration in these grand scenes; but it is not possible to give an adequate idea of the higher feelings of wonder, astonishment, and devotion, which fill and elevate the mind” (p. 27 in The Voyage of the Beagle, ed. 1997, Wordsworth). Darwin showed himself to be someone truly passionate about observing and collecting. His passion was wide-ranging, encompassing myriad aspects of the natural world. But he was simultaneously also systematic and purposeful. By integrating a wide-ranging passion with a systematic pursuit, he was able to go both wide and deep. Both these characteristics are necessary for a project with a scope as grand as his theory of natural selection. Lesson One: Cultivate a passionate curiosity that pushes you to venture both wide and deep in your explorations. Arguably the most important book Darwin read during the voyage was Charles Lyell’s Principles of Geology, which was first being published in multiple volumes between 1830 and 1833 as the Voyage of the Beagle progressed. Lyell presented the geological argument for slow, gradual change of the earth over eons of time, a framework that provided a base for Darwin to consider gradual biological change. Further, Darwin was someone who, in his own words, was “habitually searching for the causes and meaning of everything which occurs.” Not only did Darwin ask lots of questions, he was specifically interested to ask questions about the causes and meaning of what he observed, seeking out the few fundamental reasons that could explain many seemingly disparate facts. Lesson Two: Read the latest works by the best minds of your time, not so you can memorize what they say, but to inspire you to ask better questions about the causes and meaning of what you observe first hand. After returning home from his voyage, Darwin spent decades with his theory of evolution continually at the forefront of his mind while he integrated countless observations, facts, and experiences to it. Creativity expert Eric Maisel has written about the importance of what he terms “productive obsession” for creative work. In his book, Brainstorm: Harnessing the Power of Productive Obsessions, Maisel argues that when you choose an idea for good reasons and pursue it with all your brain power, you not only are more likely to launch and finish creative projects but to live a fulfilling life filled with meaning. However, I think it’s important also to stress that productive obsession needs to be balanced by productive relationships and relaxation. Darwin, for example, built a loving marriage, thriving family life, and strong professional relationships with colleagues he admired. And even on the Galapagos, he not only researched, he had fun riding on the backs of the giant tortoises! Lesson Three: Find a topic that sparks your passion, then obsess productively. But make sure to also spend quality time with family and friends, and just have fun!